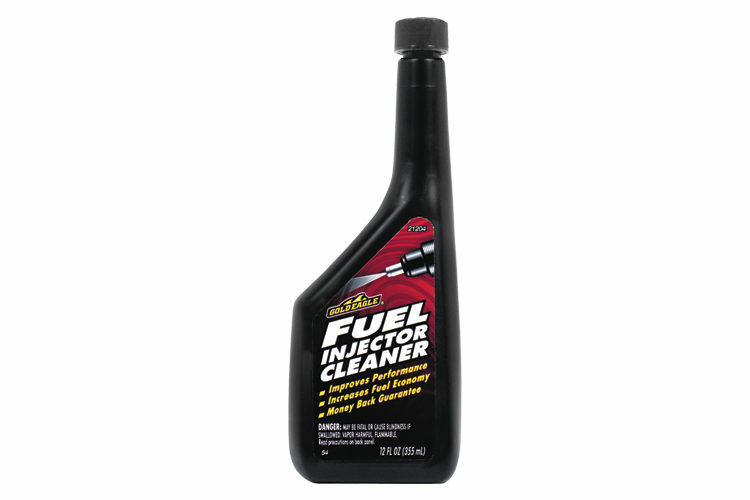 Compatible with seals, metals and other Dot 3 and Dot 4 brake fluids. Works with all ABS, Disc and Drum brake systems. To Check Fluid: Clean dirt from around master cylinder cover before removing it. Add brake fluid to correct level (specified by manufacturer). Replace cover. Check fluid level monthly. Keep brake fluid clan and dry. Contamination with dirt, water, petroleum products or other materials may result in brake failure or costly repairs. Do not refill container and do not use for other fluids. 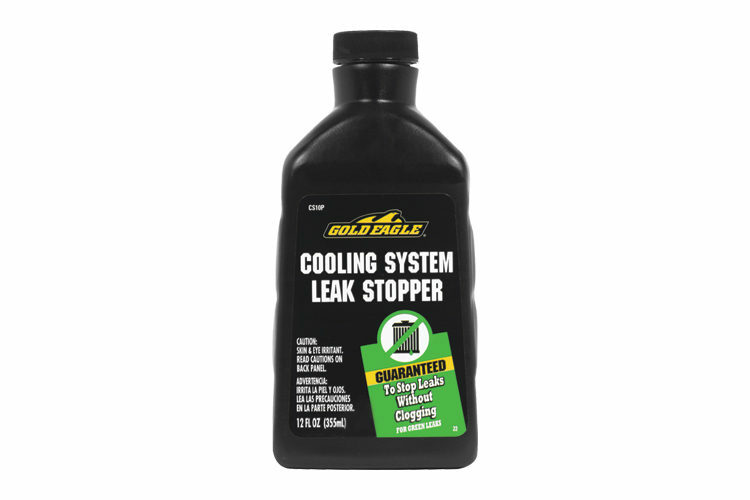 Gold Eagle® DOT 3 Motor Vehicle Brake Fluid is rated 4.9 out of 5 by 40. Rated 5 out of 5 by NEDiver from Good Brake Fluid It's a little difficult to evaluate brake fluid in non-performance applications. 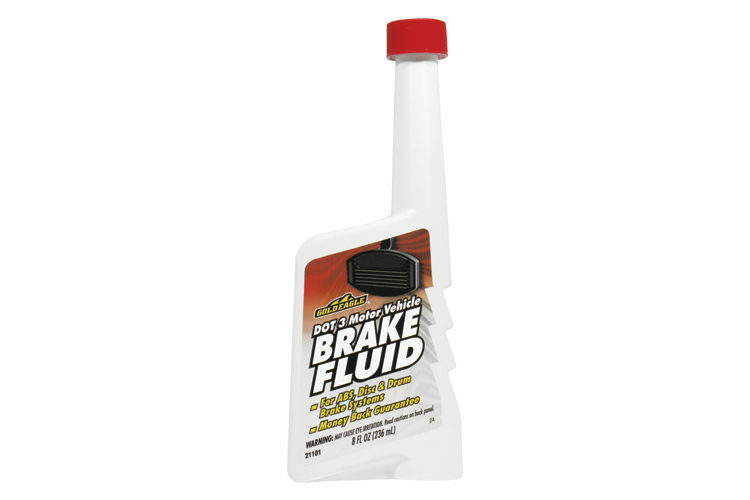 I did happen to use this brake fluid when I replaced the rear brake assembly (caliper, rotor, pads) on my son's GSXR 600. He says it stops better than it ever had, but it's hard to tell if it's because of the new hardware or brake fluid. The pedal has a solid feel with no fade, even after heavy use so the fluid is definitely doing it's job in that area. Rated 5 out of 5 by hinkster912 from Awesome product! This brake fluid rises above the competition in one major way. The bottle it comes in has a long "tube like" neck. When adding brake fluid to a hard to reach master cylinder, the design of the bottle makes the job easy. I usually have to use a funnel, which makes it hard to see the fluid level. Not so with this product! Highly recommended! Rated 5 out of 5 by vette84 from Impala brakes now have better pressure My brakes on my Chevy Impala were spongy when I pressed on the brake pedal . I drained the brake fluid and then added Gold Eagle Dot 3 Brake fluid. Now the brake pedal is up and has a positive feel to the pedal when pressed and my car now stops as it should. I was so amazed ! Wow a nice product. Rated 4 out of 5 by Tony K from A matter of trust. I drive a 1995 Nissan 300ZX. Since I modified it and added about 60 horsepower, I also tweaked the brakes by changing the calipers and rotors. 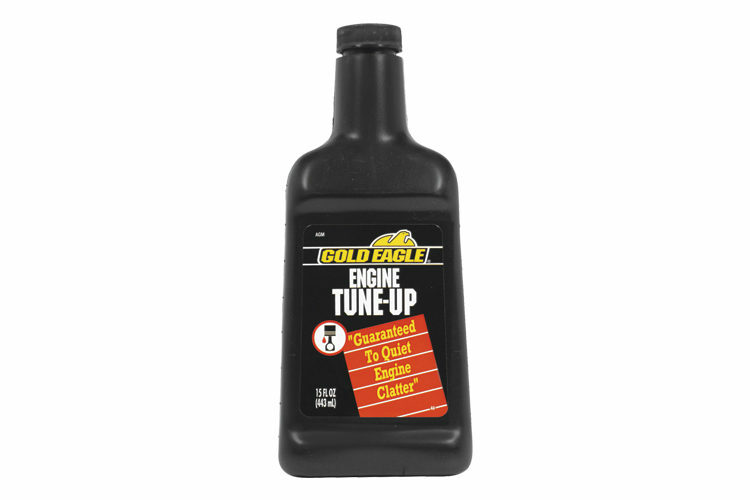 Gold Eagle brake fluid seems to be very consistent. This car is driven hard under very hot conditions and I experience very little brake fade. Rated 5 out of 5 by JazzyDC from STOP - collaborate & listen It stops the heaviest of loads. What else can I say about this beautiful White Bottle of Brake Fluid that hasn't already been said? Makes me want to buy more things with breaks just so I can use more of it. Keep up the great work Gold Eagle Products!! Rated 5 out of 5 by Guy1 from Brake Fluid A++ This fluid got the job done. It holds up well for daily use as it should. I have yet to fully test how it will perform during heavy street use but sure it will reach expectations if not exceed them.